I hadn’t seen Underworld before, but I knew enough about it to be intrigued. To begin with, it was directed by master filmmaker Josef von Sternberg, a man of remarkable cinematic ingenuity who is mostly remembered today for having discovered Marlene Dietrich and stage-managed her rise to stardom. Also of interest when considering the subject of outlaws on film, Underworld was, to quote its introductory title, “…unusually bold both in subject matter and in treatment at the time it was made. 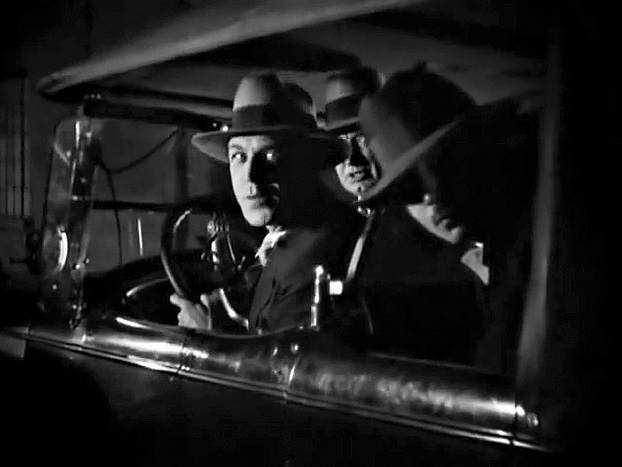 It introduced a fashion for gangster pictures.” Specifically, the film, a runaway hit on release, is credited with establishing many conventions for what would emerge as the gangster genre a few years later, in the early sound era. Another attraction Underworld held for me was that genius costume designer Travis Banton, who would become Paramount’s Chief Designer and go on to mentor Edith Head, costumed the film. For leading lady Evelyn Brent, starring as “Feathers McCoy," he created an endless variety of trendsetting feather-swathed hats, wraps, jackets and dresses, enough to fill at least one sizable closet. And so, early last week I sat down to watch Underworld and begin my post for the Classic Movie Blog Association's Fall 2018 OUTLAWS Blogathon. When Paramount assigned him to direct Underworld, Josef von Sternberg, a controlling and exacting man driven by his own artistic virtuosity and ambition, made an exerted effort to create a film that would appeal to a mainstream audience. 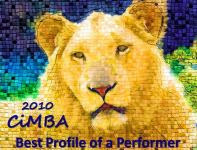 At this point in his career, then still in his early 30s, he had already experienced a rapid rise and fall in Hollywood. Not long after his arrival, he was being hailed as the film capital's "greatest director yet." But he had recently hit a disastrous speed-bump on a doomed project with Charlie Chaplin. Underworld would mean another chance, maybe his last, to have a career in Hollywood. In his 1965 autobiography, the director described the hostility aimed at Underworld before, during and after the film was made. He contended that Ben Hecht, who penned the story (and would go on to win his first Oscar for it), was so displeased with the finished picture that he wanted to disassociate himself from it ("You poor ham," his telegram to von Sternberg read, "take my name off the film."). The director also claimed that Paramount's head of sales went so far as to wire studio chief B.P. Schulberg asserting that "it was the unanimous opinion of the entire sales department that the film could not be sold, and to shelve it." By the time Underworld was set to open in New York City in August 1927, it was scheduled for a one week run at the Paramount Picture Palace. According to von Sternberg, the film opened without publicity, "at ten in the morning to avoid a review by the press, no critic being awake that early." Within a few hours Times Square was gridlocked by the crowd trying to get in to see the movie. The theater was forced to stay open all night to accommodate the swarm, "thus inaugurating the era of gangster films and exhibitions of films around the clock," von Sternberg wrote. The film would move to the nearby Rivoli for an unlimited run. Underworld follows the destiny of gangland boss “Bull Weed” (George Bancroft). Bull is a rough and tumble brute, but von Sternberg, who worked on script revisions with art director Hans Dreier (Oscar winner for Sunset Boulevard), would also endow the character with a prevailing strain of humanity. This change, along with others, including a modified ending in which the thug determines rather than is handed his fate, did not sit well with author Hecht, a Chicago newspaperman who'd covered the mob at close hand. The film opens as Bull Weed makes his getaway from a bank robbery and encounters a drunken derelict on the street. The bum, it turns out, is his former lawyer and Bull will decide to bring him into his gang and nickname him “Rolls Royce” (Clive Brook). Rolls Royce becomes the brains of the gang and is fiercely loyal to Bull for saving him from the gutter. But he begins to fall for Bull's girl, a flapper/moll named "Feathers," who wears lots of them. Third-billed Bancroft is agreeably flamboyant in the central role of Bull Weed, a not unsympathetic alpha male. Top-billed Brook is cast to type as the "noble gangster," intelligent, restrained and honorable, and he fills the slot of romantic leading man ably enough. Evelyn Brent is appealing as the diminutive but feisty Feathers, object of both men's affection. Things go off the rails for Bull at the end of a raucous gangster's ball when a rival crook attempts to have his way with Feathers. Bull finds out, intervenes and then goes after the man. In the end, Bull Weed will die, and Rolls Royce and Feathers will survive, but not before Bull doubts the pair and plots revenge. Once he realizes their loyalty to him and observes their love for each other, he relents and reconciles with fate. Underworld was a smash, the kind of success that invites replication of storyline, character types, plot devices, art direction, photography and other elements that in combination form a template (and quite a few tropes). But this mobster tale, despite its narrative, pace and bullet-riddled interludes, is neither hard-boiled nor cold-blooded in style or tone. That would come later, with the epic genre films of pre-code early sound: Little Caesar (1931), The Public Enemy (1931), Scarface (1932), also penned by Hecht, and those that followed. Ben Hecht would complain that von Sternberg had given his story "sentimental touches." Hecht knew his subject well and was a very fine writer, but his sensibility and orientation were entirely different from that of von Sternberg, who approached film as an artist committed to his own personal vision. The film that initially brought him to the attention of Hollywood, The Salvation Hunters (1925), had been called "the first avant garde feature film" as well as "an artistic masterpiece." Assistant director Robert Florey, who worked with him on films in 1925 and 1926, would declare that the director, "never shot one foot of film indifferently." Von Sternberg's close attention to detail, inclination toward experimentation and dedication to artistry are plain in every frame of Underworld. Where Hecht might have preferred a snappier, hard-edged treatment, von Sternberg would conceive something visually luxuriant and quixotic in spirit. Film critic Andrew Sarris, who wrote a slender but insightful book on the director's work for New York's Museum of Modern Art, would view Underworld more as "pre-gangster" than "proto-gangster" (it is now also considered proto-noir). 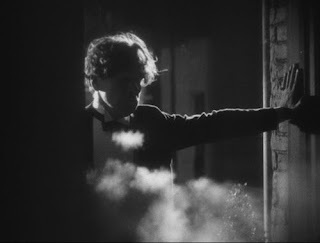 Sarris would regard Bull Weed as von Sternberg's "Byronic hero," and point out that the director, not prone to exploring social issues, would, as he always did, "concentrate on the themes which most obsess him and his heroes: love, and faith, and falsehood." With Underworld, von Sternberg managed to concoct an artful commercial hit. He would be rewarded with Paramount's annual bonus of $10,000 given to the director who made "the best picture of the year" and join the ranks of Hollywood's leading directors. This would last...for a while. 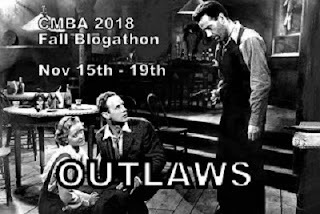 Click here for links to all contributions to the Classic Movie Blog Association's Fall 2018 blogathon, OUTLAWS! This post was also included in the CMBA's 2019 e-book, Outlaws: Depictions of Outlaws in Classic Films, available at Amazon and Smashwords. What a wonderful choice for the blogathon, and what a fantastic post. I saw this film on the big screen and was blown away. I must say I was totally mesmerized by Evelyn Brent (and the Travis Banton threads) that I went on a total Evelyn Brent binge. Those old west outlaws had nothing on those modern gangsters. Wish I'd seen Underworld in a theater, it's visually breathtaking, really. This film convinced me that it's time I took the tour of the rest of Mr. von Sternberg's late silent era films. I saw Underworld for the first time last year in a screening at Toronto's Silent Revue in a series they called "It Girls". I was emotionally impressed with the vision of these characters and their story on the big screen. After reading your very informative piece, I want to see it all over again. But it must be on another big screen. PS: I wish I had a name like Feathers McCoy! Has everyone seen this on the big screen but me? One of these days I will, I hope. Feathers McCoy is a great name...Bull Weed, not so much. A fantastic post! I caught this film a number of years ago and remember being blown away by it. In some ways it remains very modern. Thanks, John. In ways it does seem modern - perhaps because it has a timeless quality along with being clearly of its day. An essential film for this blogathon and you did it justice in your great review. Boy, did von Sternberg have a lot of ups and downs in his career, but he was undeniably talented. There are some moments in the film that are just breathtakingly beautiful (at least to me). I think breathtaking beauty is a hallmark of von Sternberg's films. Every film of his that I've seen has been visually gorgeous. They are often more like dreams than narratives. He was criticized for this, but his answer to the criticism was, "if you want reality, watch a documentary." Wow, I haven’t seen UNDERWORLD since viewing it in 16mm in my college days! It’s long past time to watch it again and your post has provided the perfect inspiration. 16mm! When you revisit it now, Rick, you'll be watching a recently restored high-definition digital transfer of Underworld. Enjoy! Thanks Lady Eve for the wonderful introduction to this film. I haven't seen it but now will. The Travis Banton connection alone is worth it, plus Evelyn Brent, a stylish flapper of her day, make it a real bonus. I don't understand Paramount's initial reaction although Gangster may have been ahead of its time. Thank you, Christian. I'm sure you'll appreciate Underworld for all the reasons you anticipate. It might have been that Paramount was unsure about the film because at that early point both the director and "the gangster film" hadn't yet proven their commercial appeal with audiences.